I’m the creative force behind Live Simply Plush. That fashion is a way to express who you are + show up in the world as the best version of you. That you should live in an organized, functional + beautiful space that you LOVE. That YOU should be able to do both of those things without breaking the bank. And I’m here to help you do it! 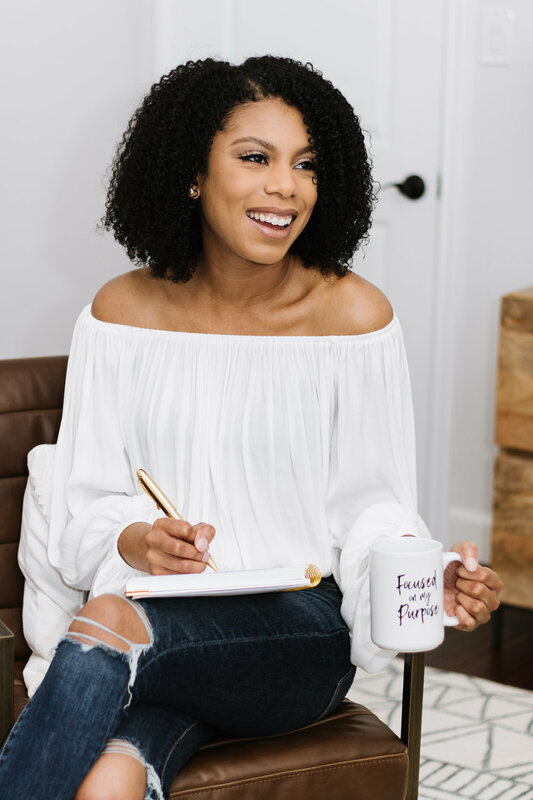 My obsession with pretty things and passion to uplift, help + inspire others to live the best versions of their lives fueled my desire to create Live Simply Plush. Here I’ll share the things that I love the most – my undying love affair with fashion + interior styling/decorating, an overindulgence in positive vibes + some of the pretty products I’ve created to inspire others. FUN FACTS ABOUT ME: I totally believe in hugs upon first meeting, sleeping in on Saturdays + laughing out loud. Napa Valley + New York City have my heart. I’m obsessed with my 3 year old niece, a good glass of wine and can literally eat Tex-Mex every single day. Ok, that’s enough about me. I’m off to design pretty spaces in my best pair of heels! We should really be friends – follow me on Instagram!